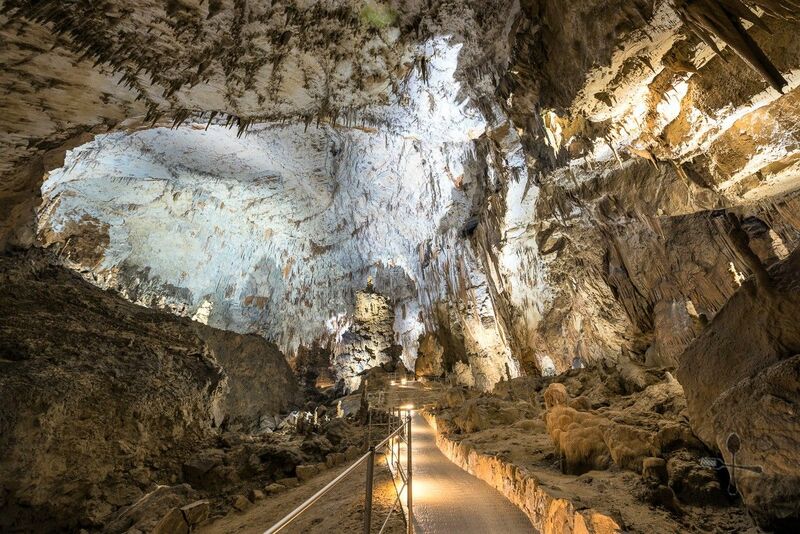 Cultural and historical significance, a special ecosystem, and natural beauty all inhabit a cave system known as Skocjan Caves. 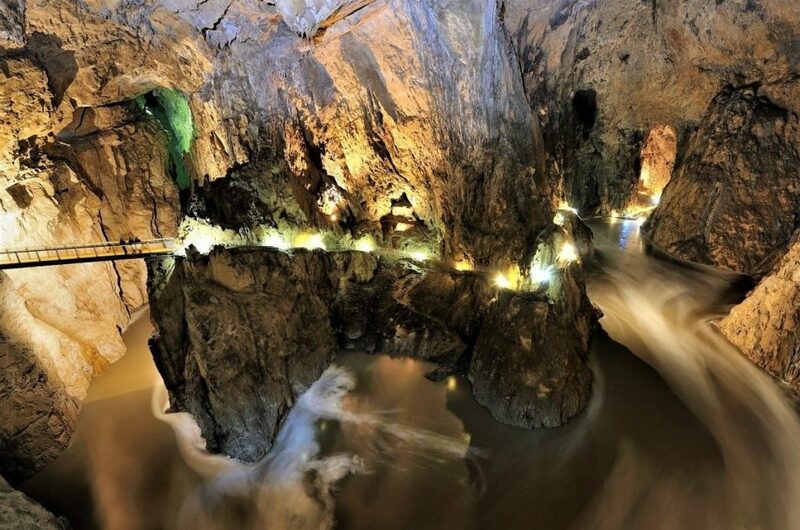 Skocjan Caves is a UNESCO-certified natural and cultural world heritage site found in Slovenia that ranks as one of the most important caves in the world. 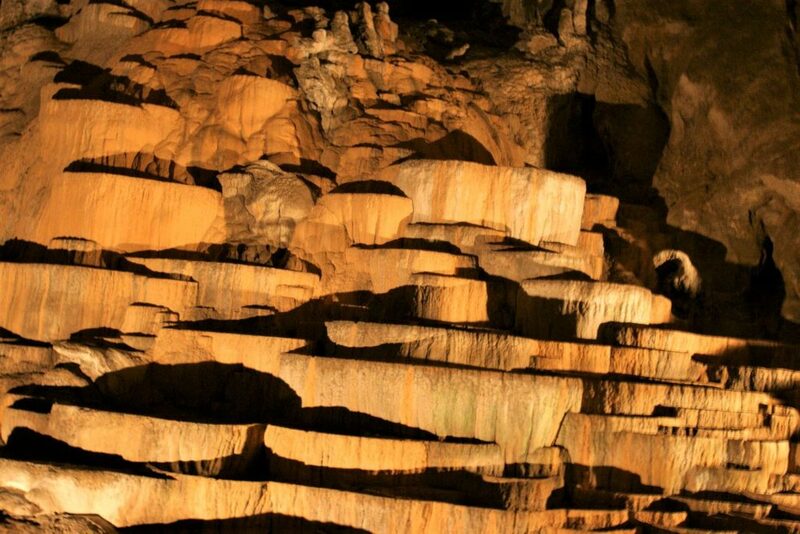 It represents the most significant underground phenomena in both the Karst region and Slovenia. Skocjan Caves is a branched system of cave passages with a total distance of 6.2 kilometers, a depth up to 223 meters (lowest point). 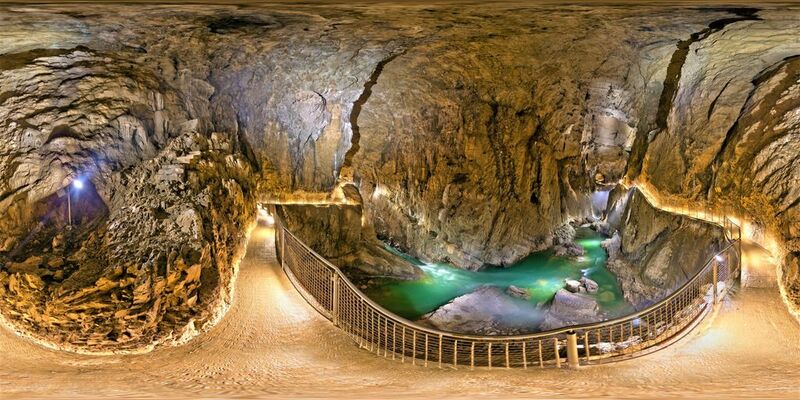 The caves are protected by Skocjan Caves Regional Park, situated at the Kras-Plateau of South-West Slovenia. The 413 hectares of conserved limestone cave system comprises one of the world’s largest known underground river canyons cut into the limestone bedrock by the Reka River. 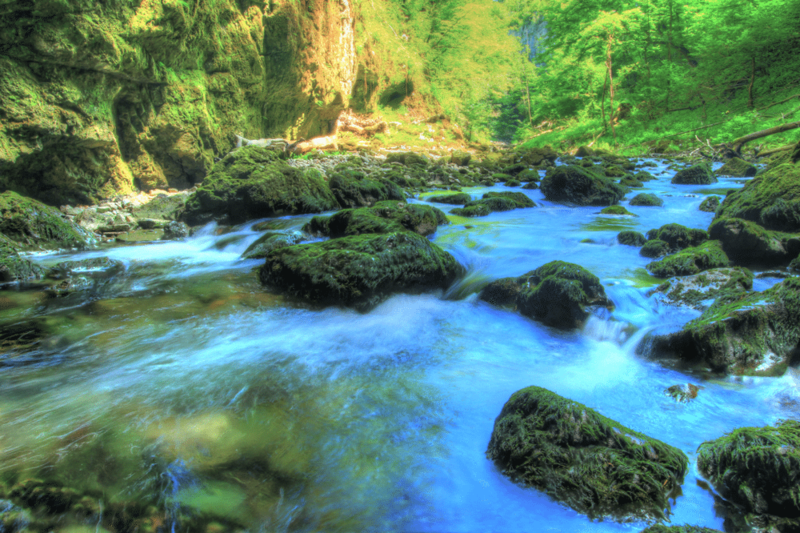 Follow the Reka River that suddenly disappears at the karst underground of Velike Delina. It continues to flow underground for 34 kilometers surfacing near Monfalcone contributing one-third of the flow to the Timavo River. Over the disappearing river, you’ll glance upon the vast and picturesque channel consisting of roaring rapids and waterfalls with a height of up to 150 meters and a width of more than 120 meters. 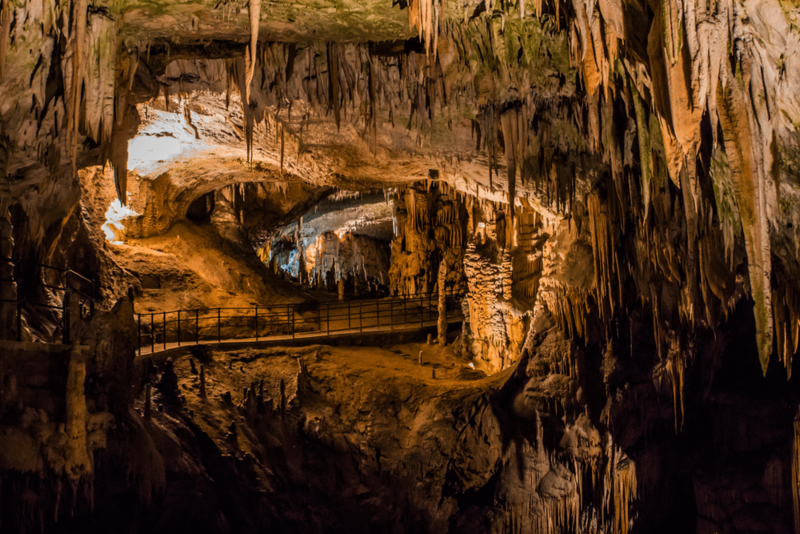 When you start exploring the depths of Skocjan Caves, prepare to see the part that defines the cave system – its underground canyon. The underground canyon is so far the largest known underground canyon in the world. The 2600-meter long underground canyon ends with a small siphon that can’t handle the massive volume of water, causing major floods after heavy rainfalls. 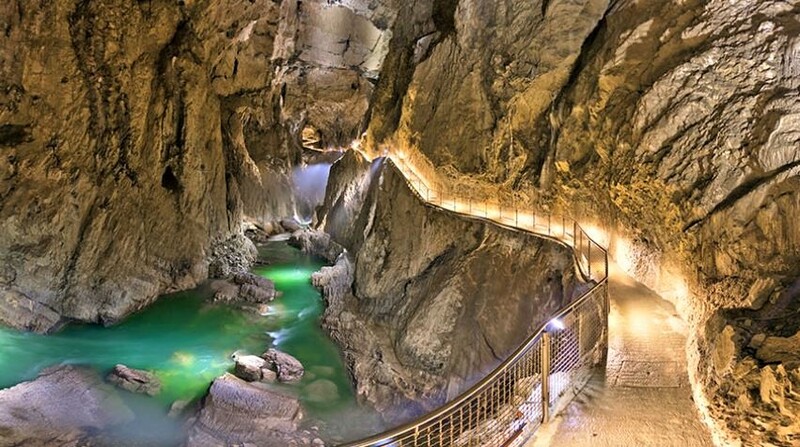 In the underground canyon, there’s a river that turns northwest before the Cerkvenik Bridge going to the 3.5-kilometer long Hanke’s Channel. Follow the channel and you’ll have a chance to see the huge chambers. One of these chambers is Martel’s Chamber which is considered as the largest discovered underground chamber in Europe and one of the largest in the world. It has a volume of 2.2 million cubic meters. 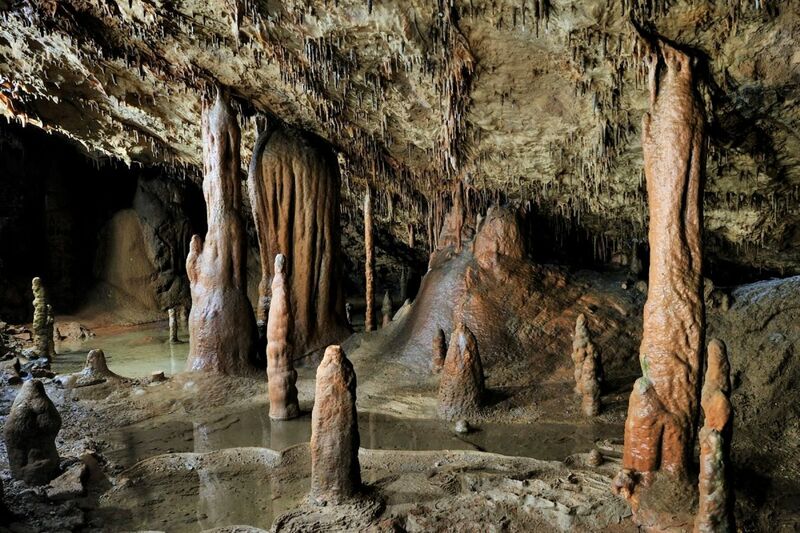 The underground halls and chambers expose stunning variations of limestone bedrock and secondary cave formations. It’s not a wonder why these formations are called “karst” which is based on the name of the plateau. This shows how the cave system greatly contributed to science, specifically its importance for the history of earth sciences. 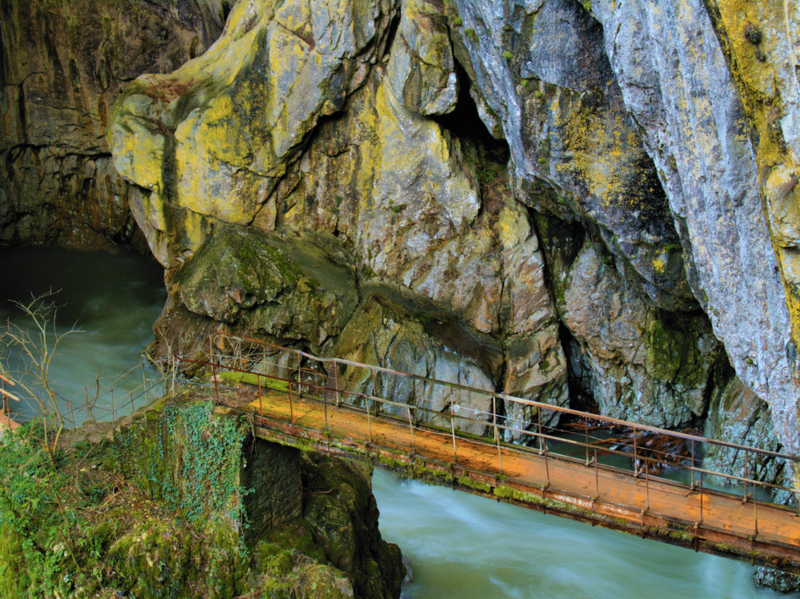 Skocjan Caves is a complete package of blind valleys, collapsed dolines, openings, chasms, and caves. It’s unclear when the Skocjan Caves were discovered but there are written sources originated from the era of Antiquity, 2nd century BC by Posidonius of Apamea. The caves can be also seen in the oldest published maps of the world like the Lazius-Ortelius map from 1561 and Mercator’s Novus Atlas from 1637. 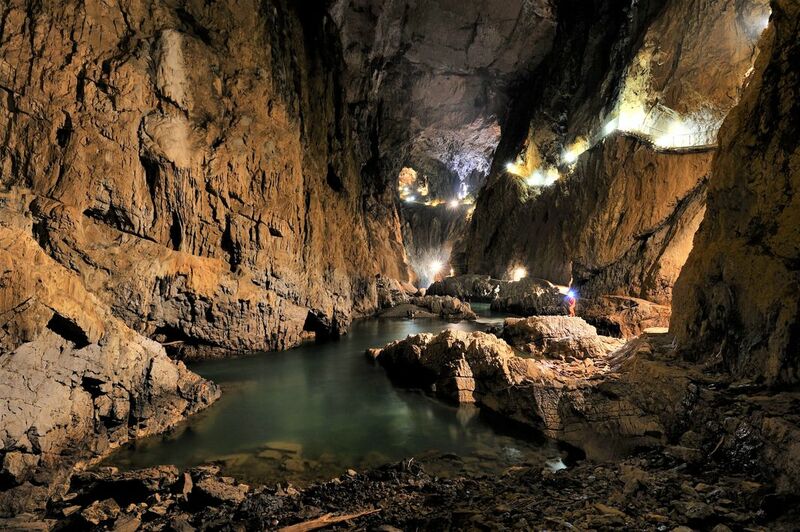 A simple visit to Reka River to supply Trieste with drinking water lead to the beginning of an expedition in 1884 where explorers discovered the different halls and passages of Skocjan Caves that lasted for over 100 years. Archaeological research has shown that the caves and the surrounding areas were already inhabited for over 5,000 years, from the Mesolithic, the Neolithic, the Bronze, and Iron Ages through Antiquity and the Middle Ages to the present. It’s recommended to visit the caves during winter when the air inside the caves are cleaner and fresher.